Well thank you for the Mother's Day present TCM! This week's Throwback Thursday post about Gidget got me in the mood to pick another Sandra Dee movie for the Saturday Matinee—and while I was thinking of something like A Summer Place which pairs Sandra Dee with Troy Donahue—TCM has come through with a great film for Mother's Day weekend, Imitation of Life. 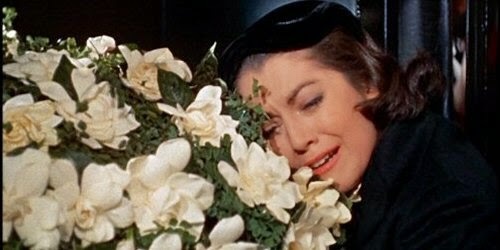 The network is airing the 1959 classic at 8am Mother's Day morning. A little early on the one day in the year you get to sleep in? You can watch it on Amazon and Google Play this afternoon, tomorrow morning or anytime. Or on youtube for that matter. No matter when you watch it—or where—if you're anything like me Imitation of Life will get the waterworks going. Just watching the trailer as I prepare this post has my mascara running. 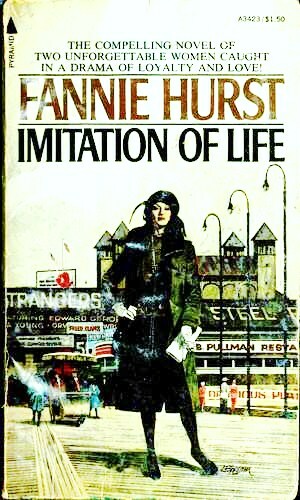 The second film based on the novel by Fanny Hurst—the first in 1934 starred Claudette Colbert—Imitation of Life starred Lana Turner as a single mother and actress who takes in a black widow (Juanita Moore) and her light-skinned daughter, in exchange for housekeeping and childcare services for her own child, Susy. The little girls Susy (Terry Burnham) and Sarah Jane (Karin Dicker) grow up as best friends played by Sandra Dee and Susan Kohner. Sarah Jane, resentful and embittered at having to live as a second class citizen, comes to the point where she tries to pass for white. 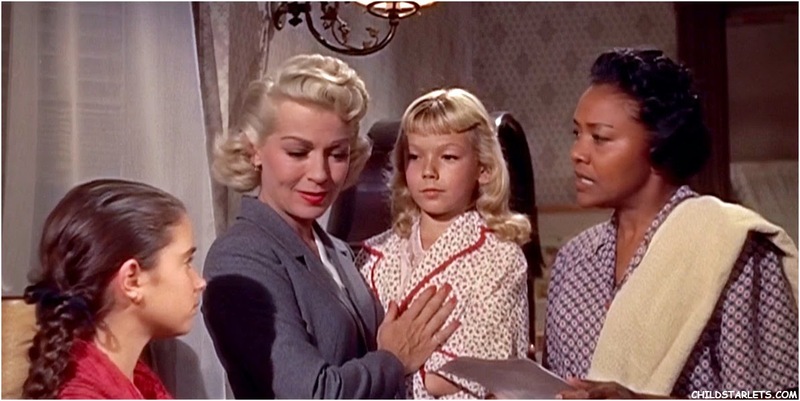 Her renunciation of not just her race—which while it breaks her mother's heart is almost understandable considering the deplorable state of race relations at the time—but of her mother too, turning her back on the hardest-working, most forgiving, loving, best mother ever, is difficult to watch. In the meantime Lora and her daughter Susy have their own issues stemming from the mother's ambition for a life of fame and her daughter's lack of gratitude for her mother's hard work. 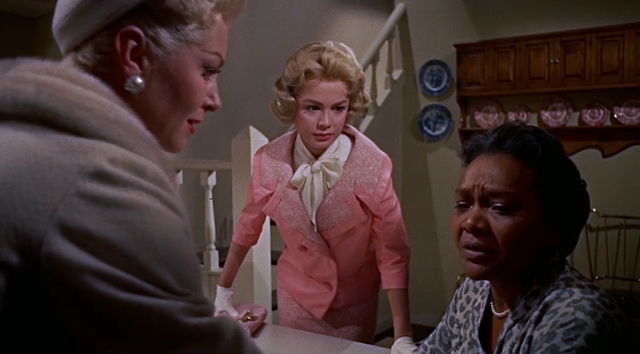 For the two of you who've never seen Imitation of Life I won't say anything about the funeral procession at the end of the film, except get out your handkerchiefs. Melodramatic? I say RealDramatic! 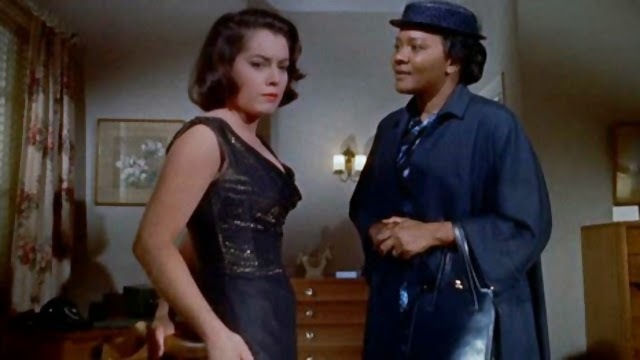 Imitation of Life earned both Susan Kohner and Juanita Moore Academy Award and Golden Globe nominations for Best Supporting Actress, putting the actresses in the awkward position of having to compete against each other. Ick. Neither woman won the Oscar—that went to Shelley Winters for The Diary of Anne Frank, but Kohner did take home the Globe. 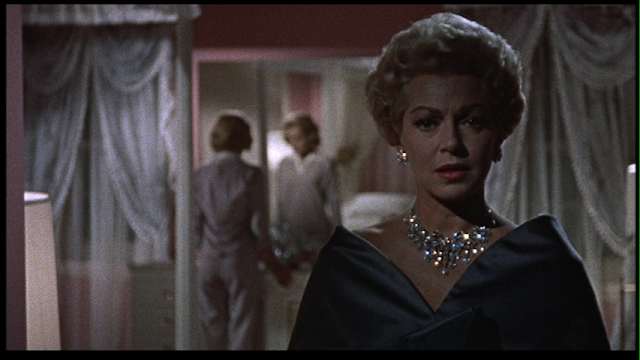 Troy Donahue's in this movie too, but not as Sandra Dee's beau. He's a good ol' boy romantically attached to Sarah Jane until he turns on her, showing his ugly, brutal side when he learns she's actually not white, but black. 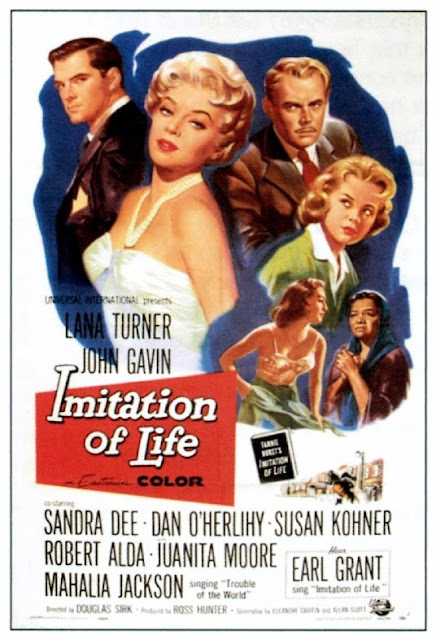 John Gavin plays Lana Turner's longest lasting leading man but no one lasts as her career means everything to her. 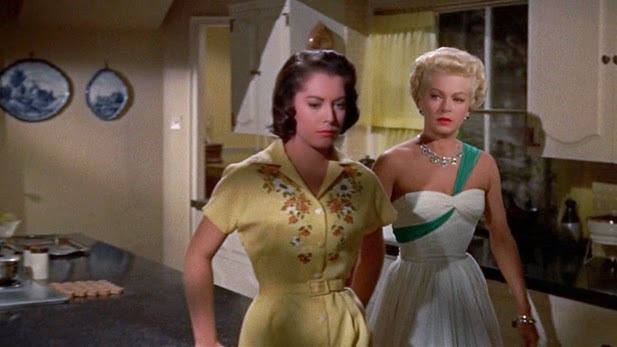 This was the final full length feature film from Douglas Sirk who directed forty eight movies over the course of his career including the 1950's classics, Magnificent Obsession and All That Heaven Allows. What'd you think? Are you ready for a good cry?